You may want to brace yourself for this fact: a mere 13 percent of employees feel engaged by their jobs. That’s right, thirteen percent. This means that 87 percent (i.e., almost all) employees are disengaged at work. This statistic should be a wake-up call to company leaders. It’s time to realize the importance of employee engagement and begin making efforts to engage workers before it’s too late. These days, there is plenty of talk about employee engagement. But, its definition remains fuzzy. Forbes contributor Susan Adams said that when employees are engaged at work, “they feel a sense of passion for their work, a deep connection to their employer, and they spend their days driving innovation and moving their company forward.” Can you just image the results companies would enjoy if most employees were engaged with their jobs? It would be wonderful for companies as well as the economy and global workforce. Decreased productivity – A symptom of low employee engagement is decreased productivity. When employees are disengaged with their jobs, they are not nearly as innovative and energetic as they have the capacity to be. This contributes to a lowered bottom line by bringing productivity to a halt. Stunted company growth – How can a company grow without engaging employees? It can’t much. The employees will either leave or remain unproductive, and the company’s growth will be stunted. Company leaders know that losing employees takes a bite out of the company budget, and are constantly researching ways to hold onto workers. The secret these individuals are searching for may surprise them. Are you a company decision maker searching for the secret to employee engagement? If so, your search is over. The secret to engaging employees is making online learning available to them. A major reason why employees are not engaged at work is because training is, quite frankly, boring. Since training is a huge part of the employment experience, it’s crucial that employees enjoy it. This will only happen if training is delivered in a format that captures a learner’s attention and engages him or her. eLearning Industry said that aspects of online learning like gamification, social features, discussion groups, and mobile learning tools make training fun. eLearning Industry Contributor Juliette Denny wrote, “The right learning platform can give businesses a one-stop-shop for delivering training, boosting performance, and generating a culture that empowers everyone.” In many cases, the right learning platform to deliver online training is an LMS. See what a difference online learning can make in employee engagement by requesting a free demo of the full-featured LMS TOPYX. An LMS (learning management system) is designed to deliver, manage, and track training online. It is the perfect tool to incorporate online learning into your company’s culture. 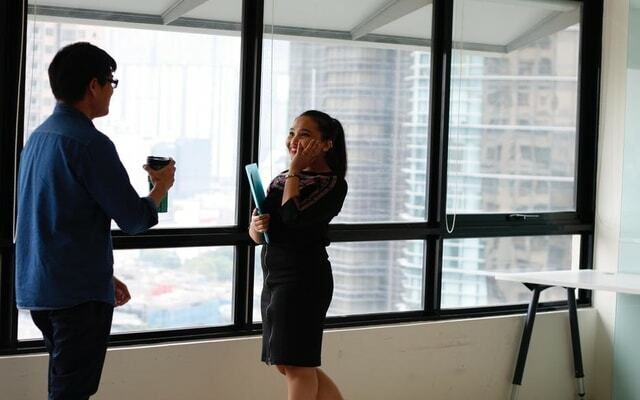 Since only 13 percent of employees feel engaged at work, it’s safe to say that employee engagement is at an all-time low. Company leaders with an eye on the future are taking steps to engage employees, one of those steps being making online learning readily available. Has your company taken this step?